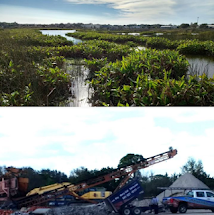 Fresh Start for the Celery Fields: Why sell our public land? Parcel #3: The Northwest Quad at Apex Rd. and Palmer Blvd. On Oct. 10, the Board will consider its consultant's recommendation to rezone parcel #3 for industrial use and sale, although there is no buyer at the present time. Below are key documents and a comment from Fresh Start. The County staff briefing on the rezoning of Quad Parcel #3 can be found here. The 49-page Lambert Advisory Report in full is here. Note: the Lambert item is first after proclamations, so approximate time is 9:30-10 a.m. To speak, plan to arrive by 9:15 and fill out a speaker's card for Open to the Public, which allows 3 minutes per speaker. In its briefing, the planning staff goes into detail about the complexities of rezoning a parcel for industry in this location, because a critical area plan (CAP) is in effect. The CAP requires a binding site plan. But here, there is no end user -- the county is seeking the rezoning. Rezoning the property without an end user or developer would require adopting a generalized binding plan that may not suit possible end users or developers. The binding development concept plan is not one of the characteristics of the PCD zoning district that can be modified. More specifically, the development concept plan’s binding nature cannot be waived as part of the rezone. Having examined the Lambert Advisory assessment, Fresh Start has pointed out that it is based upon minimal actual data about our roads, traffic, community, or environment. 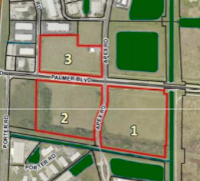 It was designed to compare spreadsheet valuations of land uses without regard to the specific locality of parcel #3, to come up with a hypothetical sales price. More on this here. Fresh Start presented a host of possibilities for the Quad parcels. However, Parcel #3 was removed from consideration because Mr. Maio desired to rezone and sell it. Mr. Maio did not cite any public support for his proposal to sell. Why is the county even considering this rezone of public land? Last November when Commissioner Al Maio instigated this idea, he justified it with the claim of budget shortfalls. But since November, the county's understanding of its actual fiscal condition has changed. Maio himself now says the county is in terrific financial shape (3 1/2 min. audio), and that "there is no shortfall" (17 sec. audio). 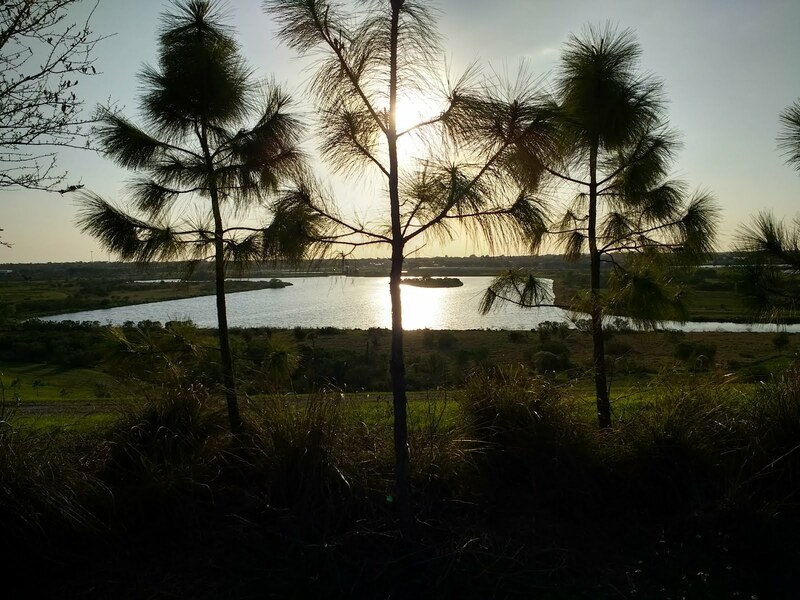 Former County Commissioner Jon Thaxton recently said at a public meeting that Florida counties have always set "a very high bar" before considering the sale of public lands. 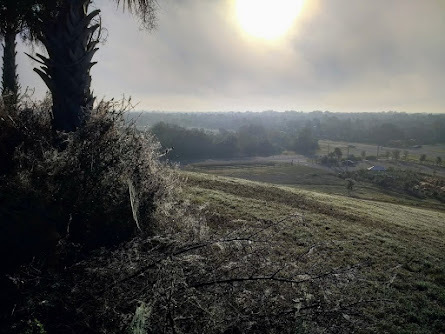 Given that the county has no budget crisis, what reason has the Board cited for selling our public land near the Celery Fields? Why this rush to rezone parcel #3 for sale to an unknown private industrial developer at some point in the future? What is compelling us to cannibalize and cash in our public lands to meet any financial need before every other alternative? Could Mr. Maio be fearful that voters or backers would be unhappy if the Board looked at an increase in millage or impact fees to provide a sustainable revenue stream, rather than a one-time irrevocable cash for land deal? When did selling our public land become the go-to means of dealing with short-term cash flow? Before designating public land as surplus, the County shall consider all possible options and uses it might have -- now or in the future. When proposing to rezone and sell our public land, this policy would require the County to include a clear statement of reasons for doing so. Once sold, public land is gone forever.